Bridge to Justice is a legal project that seeks to improve access to justice for people from refugee backgrounds through the provision of holistic, trauma informed and culturally sensitive legal support. Bridge to Justice tries to help its clients navigate the legal system and find an effective and timely solution to their legal problem. Who does Bridge to Justice assist? Bridge to Justice provides free legal support services to clients of STARTTS. 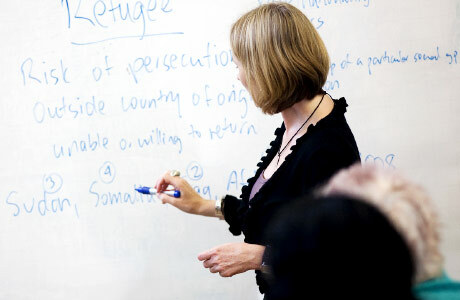 These clients are people from refugee and refugee-like backgrounds who have experienced torture or other traumatic events in the context of organised violence. All services provided to clients by Bridge to Justice are free. Why was Bridge to Justice established? Lack of financial means to afford private lawyers. All too frequently, the stress of unresolved legal issues can hinder recovery from traumatic experiences and interfere with the resettlement process. Bridge to Justice was set up to try to help STARTTS clients navigate the legal system and find effective and timely solutions to their legal problems. Bridge to Justice delivers legal support services within the context of a culturally sensitive, holistic, multi-disciplinary framework involving close interaction between legal and clinical professionals. This type of approach to legal service delivery is more likely to result in positive legal outcomes for people from refugee backgrounds and to set them up for a more effective resettlement experience by building their trust in the Australian legal system. What services does Bridge to Justice provide? 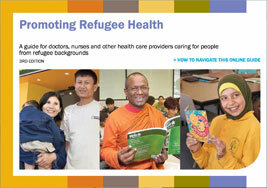 Providing community legal education to refugee communities about the law in Australia. What services is Bridge to Justice unable to provide? Provide migration advice to clients. Provide financial advice or financial counselling to clients. Provide legal advice or represent clients in court. Where clients require this type of assistance all efforts will be made by Bridge to Justice to make a supported referral to an appropriate legal or other services provider. Bridge to Justice is an initiative of Friends of STARTTS (FOS). FOS is a not-for-profit incorporated organisation established to support the work of the NSW Service for the Treatment and Rehabilitation of Torture and Trauma Survivors (STARTTS) through raising awareness in the community of the needs of torture and refugee trauma survivors, carrying out relevant projects and raising funds.